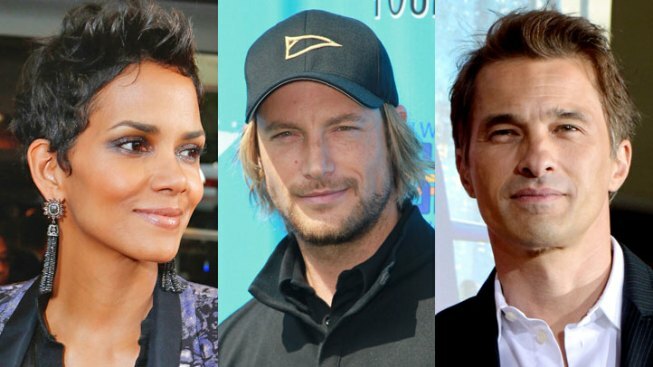 Halle Berry's ex-boyfriend and her current fiancé got into a fist fight at her Hollywood Hills home on Thanksgiving morning, authorities confirmed. Gabriel Aubry has posted $20,000 bail, after being booked for suspicion of battery. Police tell NBC4 that Martinez was not charged because Aubry was the aggressor. The confrontation between ex-boyfriend Aubry and fiancé Olivier Martinez took place at her home in the 1100 block of Doheny Drive on Thursday morning, police said. Berry's daughter Nahla was inside the home, but did not witness the fight. A Los Angeles Fire Department spokesman confirmed firefighters were called to the scene just after 10 a.m. The two men fought with each other, then Aubry was hospitalized at Cedars Sinai Medial Center and later jailed, according to Sgt. Mike Odle of the Los Angeles Police Department's Hollywood Station. Aubrey was booked on misdemeanor battery charge Odle said. Aubrey was the one who attacked Martinez, Odle said. "He was the aggressor in an altercation with victim," Odle said. The extent of Martinez's injuries was not clear. And police would not comment on the cause of the fight. Berry and Aubry are in a custody battle over their 4-year-old daughter Nahla. Odle said an emergency order is in place to protect Berry, Martinez and Nahla, according to police. LAPD Cmdr. Andy Smith said it's standard in a case such as this one for a judge to issue an emergency protective order in which the aggressor is ordered to stay 100 yards from the victim. Smith said he could not comment on the specifics of this case, however.